Packing 165W per channel, stomach this powerhouse envelopes you in a new level of sound performance (165W x 7 @ 6 ohms, illness 1 kHz, dosage 0.9% THD). Added amplifier functionality allows for configuration flexibility including: speakers A or B, speakers A and B, in addition to Bi-Amp. Employing construction and circuitry design cues from our ES line, it all begins with a rigid chassis based on the legendary frame and beam concept. To this structure, we then mount the various components: a high capacity power transformer, custom heat sink, and other specially designed and selected audio-grade components that add up to class-leading sound quality. Easily connect to your devices with 8 High Definition inputs. Flexible HD connectivity with 8 assignable inputs (6 HDMI®, 2 component). 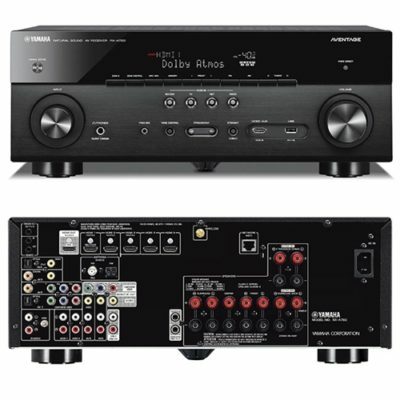 HDCP 2.2 compliant (1 in/1 out), this receiver also supports simple connectivity and full-playback of “4K Premium Content” with maximum visual and multi-channel sound quality.1 Eliminate unnecessary cables. With ARC, TV audio signal can be sent back to your receiver through the same HDMI® cable already being used to send audio and video to your TV. Wirelessly connect to your home network and access music stored on: your computer, network storage device, smartphone, or built-in music services1,3, such as AirPlay® and Spotify Connect. Also AirPlay® compatible, you can easily stream your music and music apps from your iPhone®/iPod® Touch, iPad® or iTunes®. Stream from your favorite apps with Google™ Cast. Google™ Cast for Audio lets you listen to your favorite music apps, online radio stations, and podcasts from your smartphone, tablet, or PC on your AVR4. With Google™ Cast for Audio, your phone, tablet, or PC is your remote control. Listening to music is as easy as the press of the cast icon. Search, play, skip, and turn up the volume directly from the apps you know and love4. Easily expand and control your music across multiple, compatible speakers in separate rooms with powerful multi-room capability and intuitive SongPAL™ Link app functionality8. Stream music from receiver to wireless headphones. Stream your favorite music from the receiver directly to a pair of compatible Bluetooth headphones, a great solution when the rest of the house is asleep. Convenient DLNA (Wi-Fi®) and USB connectivity supports high bit rate 192k/24-bit WAV/FLAC audio playback, and even DSD. Additional file formats supported include: MP3, AAC, WMA, WAV192k, FLAC 192k, ALAC, AIFF and DSD (2.8MHz). Simply connect the compatible device to the receiver and enjoy2. And with Sony proprietary D.L.L. 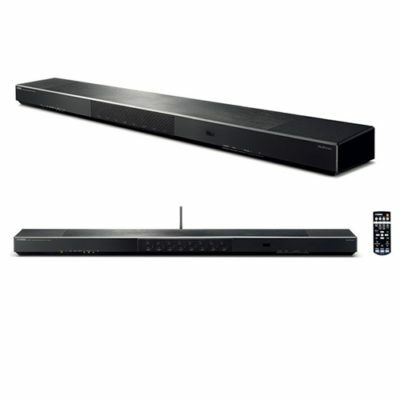 (Digital Legato Linear) technology, you can enjoy your favorite digital audio files in high-quality brilliance. Quickly and easily maximize your in-home theater experience via the newly improved Advanced Digital Cinema Auto Calibration feature and supplied microphone. Using the intuitive, graphical user interface, you can easily adjust settings, change inputs, and confirm volume levels on-screen. Download the free SongPal app from iTunes® or the Google™ Play Store and use your iPhone® or Android™ devices with the SongPal app to control receiver functionality including volume and input selection8. Restored high frequency sound lost in audio compression. Pure Direct mode preserves signal clarity and detail by switching off unnecessary signal processing circuitry to provide the cleanest possible signal path with minimized electronic interference. Great sound in more than just the living room. Easily expand your audio/video experience beyond the living room with flexible 2nd zone connectivity and control. 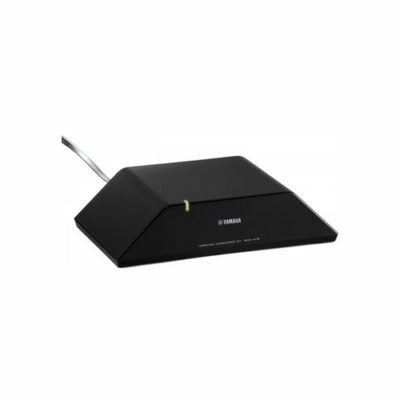 Complete with dedicated 2nd zone HDMI®, IR repeater, and both amplified and line-level audio connectivity, all audio (including network services, BT connected devices and USB) and video sources connected to the STR-DN1060 can be independently controlled and output from the Main Zone to a second zone (bedroom or den). Directly connect your smartphone via an MHL (Mobile High-Definition Link) certified HDMI® cable and let your favorite personal video clips, music, and more loose on the big screen complete with big sound. MHL also supports the charging of connected devices4. Enjoy convenient access to all of your HDMI® connected devices without having to power on the receiver4. When the mood calls for it, simply wake the receiver from Standby by depressing the play button. Great sound quality at any volume. Stop missing out on dynamic movie sound effects when you need to keep the volume at low levels. Sound Optimizer delivers optimized sound effect reproduction while maintaining the intended sound stage at high or low volume levels. HD Digital Cinema Sound™ with front-high speakers. Optimize your receiver settings to mimic movie theater sound characteristics. Front Height mode enables vocal height and 3D effects for improved effects positioning and added depth. Imagine as a helicopter descends from above and lands right in front of you – you’ll hear the change in height as the effect unfolds on-screen. Enjoy the moving experience of your favorite live performances performed in your living room when you embrace legendary Sony® engineering expertise. BRAVIA® Sync Capable (HDMI® CEC). 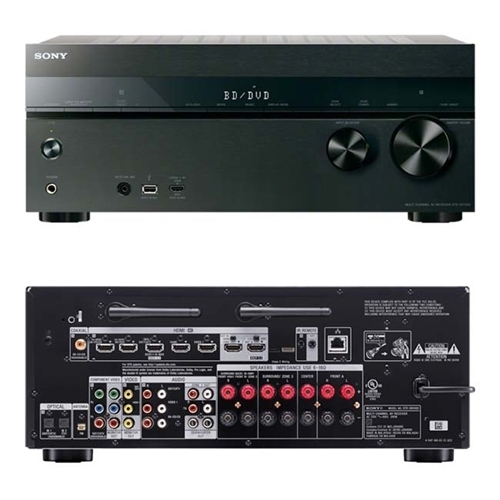 Conveniently operate and control select Sony® BRAVIA® Sync devices with one remote including: Sony Blu-ray Disc™ Players, BRAVIA® HDTVs, Sony home theater products16. Upscale everything you watch to 4K quality. The STR-DN1060 allows full, native 4K video content pass-through to 4K capable televisions and projectors, and even up-scales high definition movies and TV shows to 4K quality.6 Watch Blu-ray Disc™ movies in their native frame rate (24 frames per second) when paired with a 24p compatible HDTV and playback device like a Blu-ray Disc™ Player or PlayStation® gaming console via HDMI® cable12. iPod Browsing with System (via USB) : Supports music on: iPhone 5s iPhone 5c iPhone 5 iPhone 4S iPhone 4 iPhone 3GS iPhone 3G iPod classic iPod Touch (5th, 4th, and 3rd gen.) iPod (2nd gen.) iPod nano (7th, 6th, 5th, 4th, and 3rd gen.).